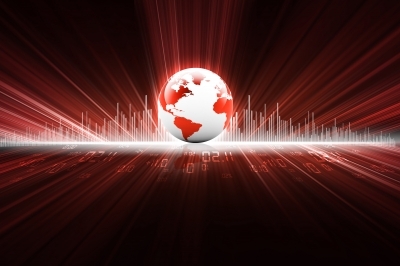 Big data – One Billion Hungry: Can We Feed the World? 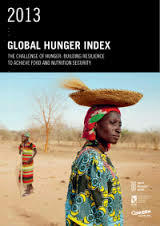 On the 14th October 2013, the latest Global Hunger Index report was launched. Produced by the International Food Policy Research Institute, Welhungerhilfe and Concern Worldwide, this annual report details the progress the world has made in tackling hunger. The index itself is “a multidimensional measure of national, regional, and global hunger” that combines measures of child underweight, child mortality and undernourishment (discussed in chapter 2 of One Billion Hungry). This year’s figures reflect hunger during the period 2008-2012 and show global hunger has fallen by a third since 1990. While the world has made some progress in reducing hunger since 1990, we still have far to go. Global hunger remains “serious,” and 19 countries suffer from levels of hunger that are either “alarming” or “extremely alarming.” 23 countries, however, have reduced their GHI scores by 50% or more. The top ten so-called success countries in terms of improvements in GHI scores since 1990 were Angola, Bangladesh, Cambodia, Ethiopia, Ghana, Malawi, Niger, Rwanda, Thailand, and Vietnam. Sub-saharan Africa has one of the highest GHIs per region along with South Asia but since 2000, an increase in political stability and the achievements made in tackling HIV/AIDS, malaria and childhood diseases have seen SSA starting to make considerable progress towards reducing hunger. There are a number of big data reports that come out annually around this time of year not least the Global Hunger Index and the UN Food and Agriculture Organisation’s State of Food Insecurity in the World. The merit of these analyses lie in tracking progress and raising awareness but their data cannot be taken as a true reflection of what’s happening on the ground, merely an indicator of the global situation. That is not to say that there isn’t value in such data. McKinsey states that so-called big data has been exploding in recent years and highlights its use in uncovering emerging trends and future issues. Indicators such as the GHI have the power to inform if delivered at the levels at which key decisions are made but also potentially predict how hunger and its causes might change in the future.